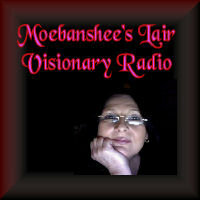 Listen to Donna speak Live with Moe on "Moebanshee's Lair Visionary Talk Radio" on July 1st at 9pm ET, 6pm PT. The show is hosted by and accessible on the internet at Dreamsteam Radio. Hope you can tune in!